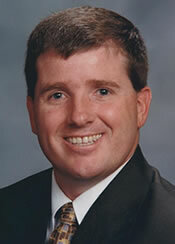 Tim Hunt is a principal agent with Insurance Professionals of Arizona. He has over 12 years experience in the insurance industry and is motivated to find solutions that help protect the things that matter most in his customer’s lives. Tim specializes in auto, home, life, health and commercial insurance products. Tim is a native of Mesa, Arizona. He grew up going to Field Elementary, Poston Jr. High and Mountain View High School. He also attended Arizona State University. Tim lettered in golf, basketball, and baseball in high school and still enjoys participating in athletics. He has served as a youth coach for many years and as Scoutmaster for The Boy Scouts of America. Tim is married to his beautiful wife Nancy and has 6 children. Contact Tim at 480-797-0237 or email: tim@insuranceproaz.com.